In Part 1 of this series about the school’s Block Room, I shared how our middle school students reimagined and redesigned this space. In this post, I want to discuss why working with blocks is so important to child development and learning. Kieran uses a chair in the room as a seat for his rocket ship! One of my favorite aspects of blocks is that they are largely blank canvases. They don’t have artificial color. Your imagination has to decide if your castle is blue or grey or if your bridge is wooden or stone, covered in yellow polka dots. Blocks don’t lock-in like Legos do. Working with blocks involves your muscles and senses in a unique way. You have to provide your building materials with the balance and stability they need to function. Almost inevitably, a block will fall that causes the project to falter or tumble. When that occurs, it teaches kids that failing is a natural part of learning. Kids take that fallen block, hypothesize what didn’t work, and apply their new thinking. 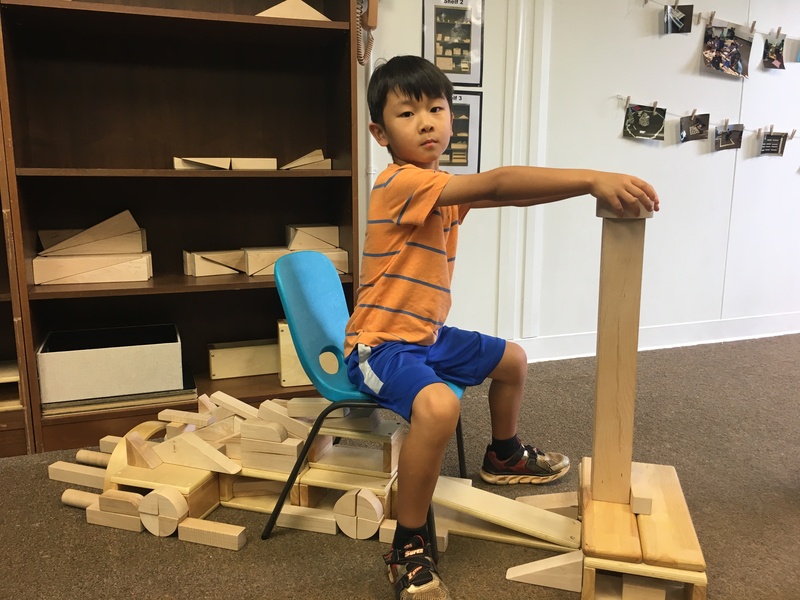 Children do this because as Elisabeth Hirsch writes, they “need to pose and solve problems,” and when they do, they are learning and operationalizing the scientific method. Blocks are not solely for young children though. 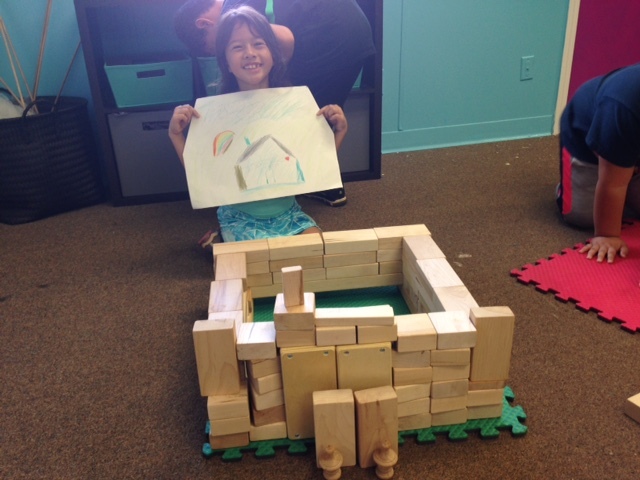 Students of all ages can use blocks to express their creativity, expand their thinking and deepen their understanding. It’s great fun to see how the students’ block building progresses over time: from making simple rows of horizontal or vertical blocks, to building bridges, and then often to designing enclosures. From there, we often see students start to construct more elaborate designs, often in the form of representational buildings. 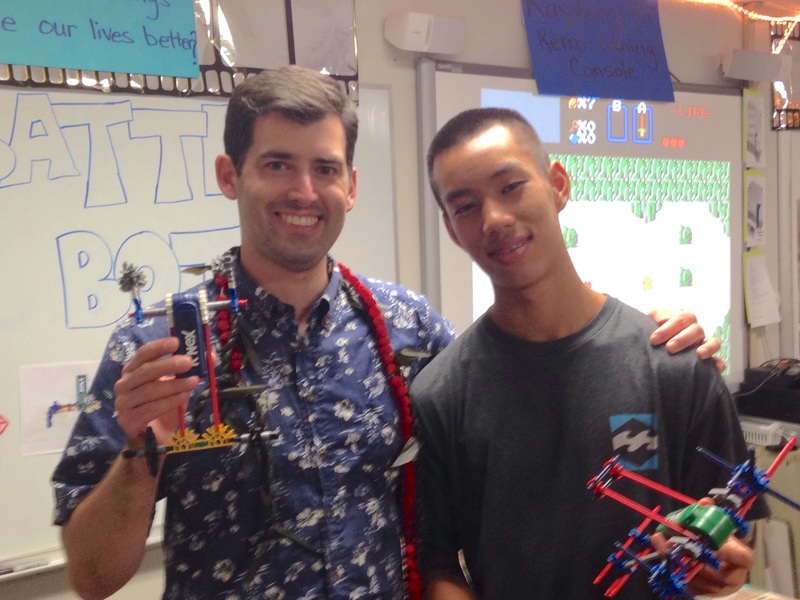 For example, we’ve had students recreate iconic architectural wonders, an animal dwelling, a scene from a novel, a landmark from a recent field trip, the topography of Hawaii Island, and the ahupuaʻa system. A personal highlight is when I see students add dramatic play as a component of their structures! When using the Block Room, sometimes our teachers give their students a design challenge or project standards. Other times, we simply provide children the time, space and materials for free, unguided exploration that allows them to wonder, construct and experiment. Educational philosopher David Hawkins fittingly and fondly refers to this type of children’s work as, “Messing About.” I love watching the joy and brilliance that comes from letting kids mess about! 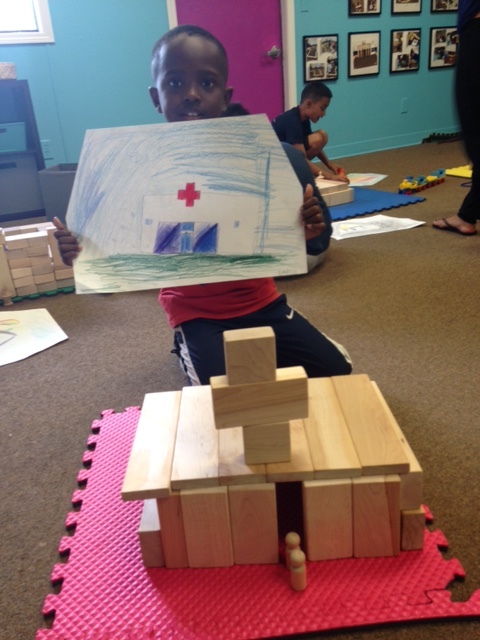 With either approach, when we observe our children working with blocks, we marvel and celebrate their buildings. We often miss where the true marvel and beauty lies though. The richness isn’t the structures themselves, though they usually are wonderful, no, what we often overlook is that what the children are actually constructing is meaning. By allowing children to accept their own ideas and work them out, they are actively constructing meaning about mathematical concepts, planning, spatial problem solving, balance, scientific principles, abstract thinking, how to work collaboratively, storytelling, and a number of other important skills and concepts. In short, we play with blocks because we respect our children as thinkers and explorers, and we know that when we provide the appropriate materials and settings for children to follow their curiosities and work through their questions, we’ve also provided our students the occasion for the having of wonderful ideas, which eminent Harvard professor Eleanor Duckworth has maintained is the essence of intellectual development. So, if you haven’t visited our new and improved Block Room yet, please come check it out! In closing, I send a big mahalo to Neal Wrightson and the Children’s Community School in Van Nuys, California for opening their Block Room to us during a busy afternoon and providing a vision for what is possible.